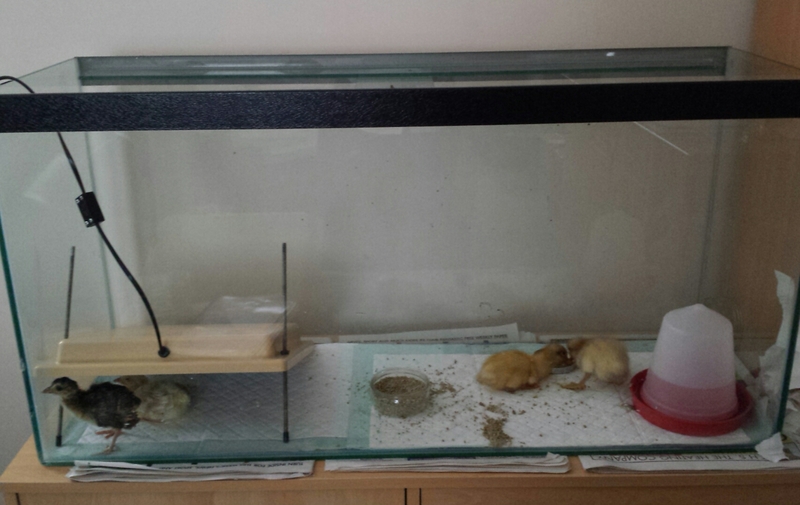 Here they are on the left under the ‘electric hen’ while the ducklings are on the right. Nice to see them in their pairs. The brown one (which will be blue as an adult if male) is doing well despite being hatched a day later than the yellow (white) one. The other 5 ducklings are all doing well. The above 2 are going across the road to Lou and Carl when they are old enough.